Guess what? It's Spring. Yes, I said it. Spring! Which means..... SHOPPING! And of course warmer weather. I am really looking forward to putting away our winter jackets but with the New England weather I am sure there is ONE more snow storm in store for us. But, I won't let that bring me down. I am ready for Colors, lots and lots of Colors. 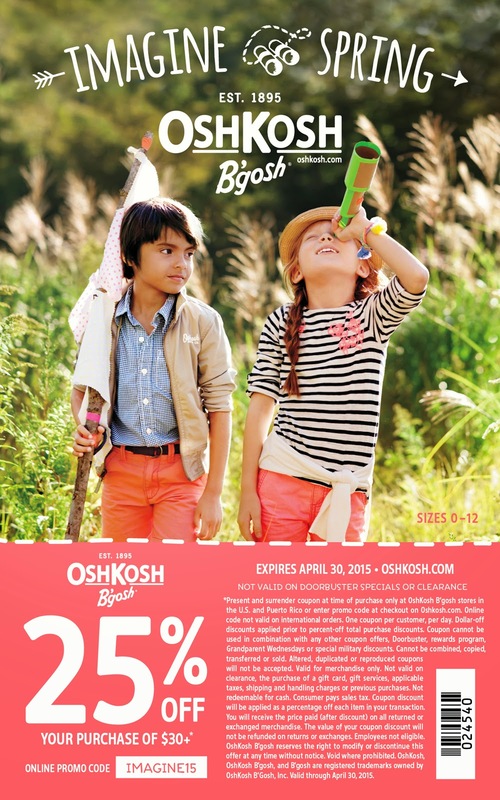 If you are looking to spruce up your little one's wardrobe this spring, I highly recommend taking a trip to OshKosh. 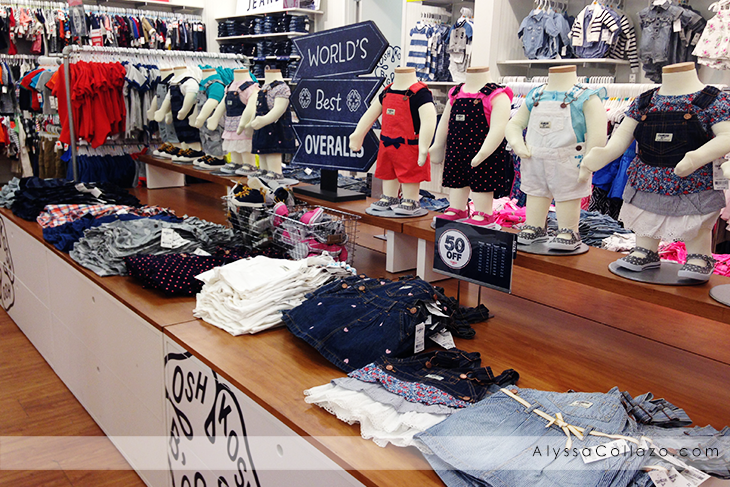 OshKosh B’Gosh has everything you need for a new spring wardrobe. 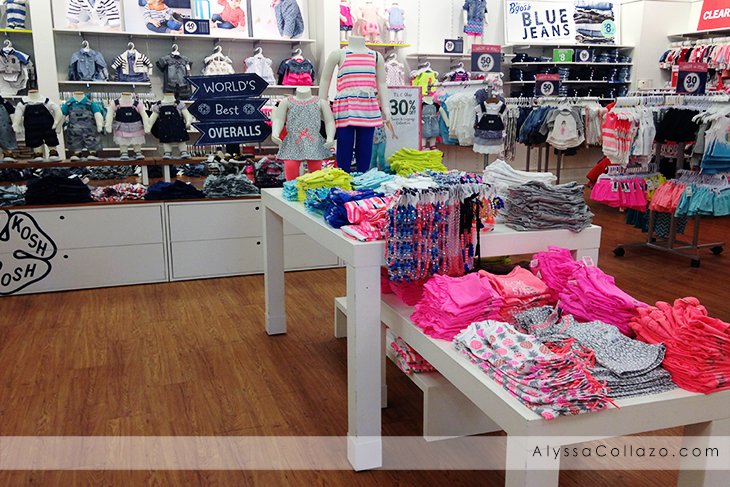 From clothing to accessories, shoes and active wear, OshKosh is the place to go for a new spring look. We have a huge trip coming up and both of my girls are in need of new clothing. The one thing I look for when shopping is, matching outfits. But with one child being 7 and the other being 3 it can be really difficult to find clothing that fit's both their personalities and sizes. One's into flowers and prints the other likes cartoons and bright colors. OshKosh has been my go to store since I can remember. While they may be known for their World's Best Overalls, you will be happy to know that they have a whole line of fashionable clothing for your little one's for the Spring and yes, MATCHING OUTFITS! Well tops, bottoms, and shoes in both my girls sizes. From the moment I walked into OshKosh I was completely speechless. In a good way. It was an explosion of colors and I couldn't believe it. I just had to take a second look. There was so much available and not just for girls but for boys as well. If you didn't know, OshKosh currently sells children clothing for ages newborn to size 12. The staff was incredible, they always asked if I needed help finding anything. Compared to a few stores that I've shopped at, they have one of the better customer service and it's always nice shopping in store, although online is hassle-free as well. I'm sure you are wondering with all the colors and prints in stores how was I able to choose what I wanted? Thankfully my mom came with me and helped me choose, plus they had one INCREDIBLE sale the day I went. Buy 1 Swimwear, Flip Flops, or Shoes and Get 1 FREE! Can you believe that I was able to put together 4 outfits including 2 pair of shoes and 2 bathing-suits for under $120? Not very often does that happen, but that's because with the great sales going on in stores, OshKosh is even offering a 25% off $30 purchase coupon which you can find right here. The great news is that it expires April 30th so you still have time to use it. So if you are looking for matching outfits, something casual or dressy for Easter head on over to your nearest OshKosh store. They have fashions that both you and your little ones will love. I know my girls love their new outfits and can't wait to wear them! 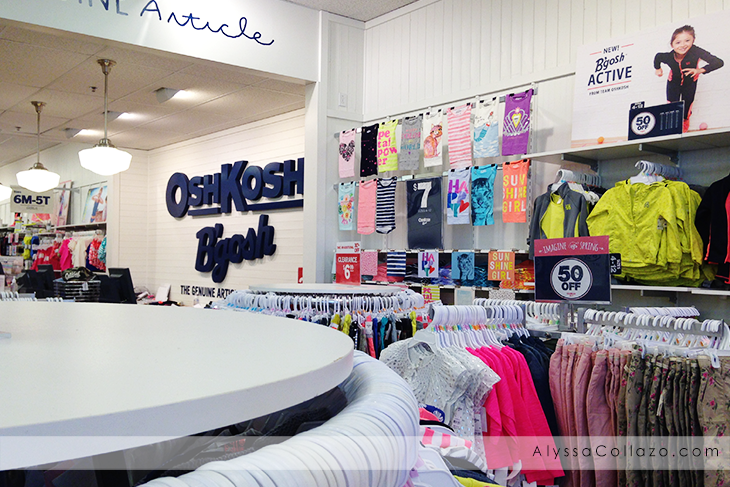 You can connect with OshKosh B’Gosh on their Website, Facebook or Twitter. OskKosh is my favorite child's clothing company. They have wonderful styles, and they're really well made. Thanks for the coupon! When my kids were little they practically LIVED in OskKosh clothes. I love the look of them, and I love how they can stand up to the beating that kids can give their clothing. I love OshKosh Bgosh!! They have the best clothing for young kids. The colours are so bright and the sizes fit just right! My favourite place to shop! OshKosh clothing is SO cute. I usually buy stuff from there when my friends are having kids. I love going shopping at OshKosh BGosh. They have the cutest items for all of the kids and when I can't make it to the mall, I shop at their online site. OshKosh has the best kids clothes! They always stay updated with their styles. I miss taking my kids there. I love when the new spring clothes come out. My kids love shopping so we are there! Now that is a definitely a steal! Love the colors you choose for them as well. I have always loved the Osh Kosh brand. I love to get my girls coordinating outfits and this sounds like a good place to go! I have liked Osh Kosh clothing for as long as I can remember. Each of my four kids had favorites with the brand too, as did I.
OshKosh makes such quality clothing. I had my favorites growing up and I'm sure my kiddos will as well. I love Oshkosh. They make such great, cute pieces and the quality is really outstanding! Such a great brand! Oshkosh clothing is amazing for kids. It is good quality and very comfy for the kids indeed. My boys always wanted the pants with tons of pockets I will have to share this with my sister for there kids. When my kids were smaller, OshKosh was one of my favorite clothing brands for them. They are stylish and would take all they had to give, especially the jeans. I love OshKosh. I shop there for my kids all the time. Especially the sale rack! OshKosh looks like it has so many fashionable clothing options for the young ones. I wish it had been around for when i was a little kid, here's hoping it's around for when I have children of my own. What a great coupon! I could go crazy in there for my little girl. They make the cutest shoes. What a fun shopping trip! Looks like you got some really nice clothes for Spring. We love OshKosh! It's one of the few stores for that I chose to shop for my son. We don't have their store here in the city yet though so I made my purchases online. I love OshKosh!!! They have some of the cutest clothes. I can't go into there without buying at least a few things! I rely on OshKosh B’Gosh for all the clothing gifts I need to give to my little nieces, nephews, and the children of my friends. Love their style and price point! OshKosh B’Gosh is my favorite for my little girl. The clothes are cute and comfortable. And affordable.